The 2017 Golden Spade Poker Open is Here! The 2017 Golden Spade Poker Open has begun and qualifiers have started. The 2017 GSPO is the last and final poker tournament of the year. The tournament boasts an enormous guaranteed 3 million dollar prize pool. Top casinos like Bovada, Bodog and Ignition invite players of all skill levels to try and qualify. Buy-ins for a low as $1 are an option for players, so there is no reason not to play! The qualifiers for the 2017 GSPO start on October 11th and run until November 8th. The buy-ins are affordable for all budgets, which makes this tournament great for players of all skill levels. The tournament includes well over 100 events in its duration. Participants have the chance at winning over 3 million dollars in prize pools. The Main Event will take place on Sunday, November 5th at 5:05 PM, Eastern Time. This Main Event has a guaranteed $300,000 in prizes. For the GSPO Main Event, a $450 buy-in is required before playing. 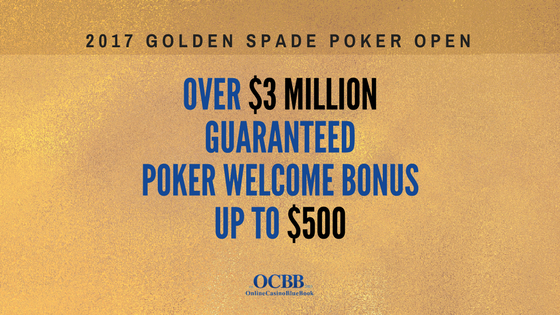 It is easy to qualify for the Golden Spade Poker Tournament this time. All players need to do is chose their preferred buy-ins. The buy-ins for the tournament should fit all budgets. Players can find more information about how to qualify in the casino’s poker software. Prices for the buy-ins range from $1 up to $425 with plenty of options in between. Players can win only one entry to a single event. In case a player qualifies several times into one tournament, additional entries will be forfeited.Tournament tickets cannot be used in any other tournament or exchanged for cash. Top online casinos Bovada, Bodog, Ignition are all part of the Golden Spade Poker Open. These casinos have rewarding bonuses for first-time players. 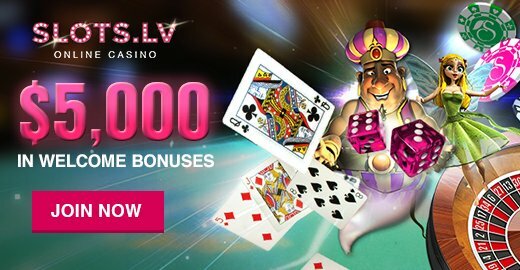 On top of the bonuses, the casinos all offer state of the art and high-quality poker for players. If poker is your game, then get qualified for the GSPO today! The Golden Spade Poker Tournament is players last chance this year to win huge prizes. So, get started today, and you may be the big winner who takes it all home. Players of all skill levels and in all budgets will have the time of their life at The 2017 Golden Spade Poker Tournament.